Tony Matterhorn won’t be playing any Alkaline music this year or perhaps ever. The beneficiary of this feud of course is Vybz Kartel and maybe a few other artists whose songs will get more airplay on Matterhorn’s platforms. DancehallHipHop reported in December that Alkaline disrespected the veteran sound system selective in front of his face and thousands of fans at Club Euro in Fort Lauderdale, Florida. 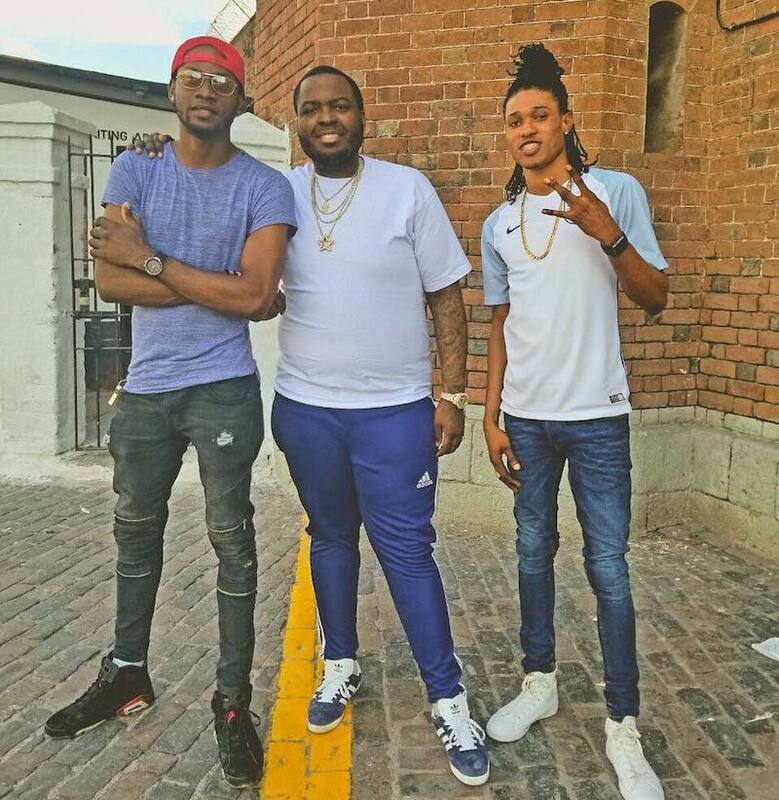 Footage of the exchange went viral online sparking a debate about the deteriorating relationship between dancehall artists and disc jockeys. Right after making that bold statement, Tony Matterhorm drop Vybz Kartel and Masicka single “InfraRed.” So clearly, Kartel is the biggest winner in this ongoing beef between the disc jockey and Alkaline. Sources told DancehallHipHop that this has been eating away at Matterhorn for the past few weeks and it was only a matter of time before he snapped. Let’s hope that these two very important figures in dancehall can make peace sometime soon for the good of the music. Kartel’s right hand man Sikka Rymes confirmed that he brought the “Soul Reaper” deejay to visit the Worl’Boss at GP yesterday and everything went smooth. We’re told that Sean Kingston was the middleman who asked Kartel to make peace with Tommy Lee Sparta and then Rymes organized the visit. DancehallHipHop reached out to the Sparta deejay’s camp for a comment and was told that the meetup was in the works since last month. 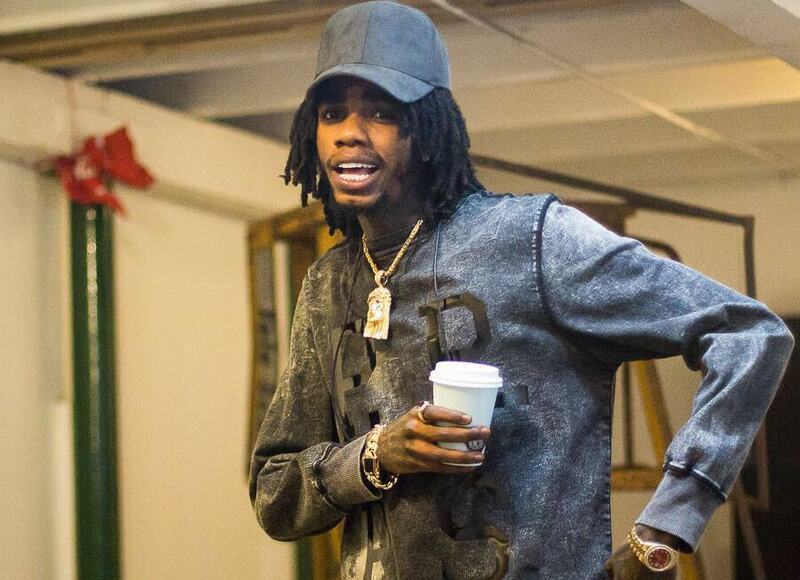 Alkaline has addressed his critics who accused him of buying views on YouTube. Last year, the Vendetta deejay came under scrutiny from dancehall fans, particularly Vybz Kartel fans, who claimed that he has been paying to over-inflate his Vevo views. The allegations comes after Alkaline racked up a number of views for some newly released music. In one case, he clocked a million views in less than a week for his single “Suave” which went on to add millions more views in the weeks after. Alkaline also address his enemies whom he say are actively sending the police after him and although he gets frustrated, he still manages to keep his cool and maintain his focus thanks to the council of his mother. “Mirage” is Alkaline’s first single since the start of the year and his Vendetta fans are basking in the moment because they have been waiting to hear what he has to say. The track already sparked a heated debate on social media about who Alkaline is referring to when deejaying about taking out someone and their entire crew. It could be a number of people including Vybz Kartel, Popcaan, NotNice, Sean Kingston, Tommy Lee Sparta, and more, all of whom he has been beefing with. Kartel might be the only name you can exclude over the mere fact that he is behind bars. But his incarceration is not stopping him from going after Alkaline musically. The “Mhm Hm” deejay did not receive a single nomination at this year’s Your View Awards, former Youth View, because of some rules changes. The YVA says they will not nominate any artist who can’t perform at the event which automatically disqualifies Kartel because of his incarceration. A rep for the deejay told Dancehall HipHop that he is not angry but still sees it as another attempt to silence his voice. Last week Vershon released a new single, “One More Day,” where he lead a tribute to incarcerated artists like Buju Banton, Vybz Kartel, and Ninjaman. The track received a warm reception from dancehall fans for its positive message and the singjay look to go back to his roots of making positive and uplifting music. The single comes on the heels of his new music video “No Worries” which is another feel good single released on the Cotton Swab Riddim. Listen to Vershon new single “Wul’ Di Grung” below. Ding Dong is thankful for a major endorsement from Usain Bolt on the global stage. The fastest man in history, Usain Bolt, was at CES 2018 this week when he did an interview with CNET. Among the many things he spoke about was music where he listed a few of the local dancehall artists that he has been listening to. Bolt, who is a longtime fan of Vybz Kartel, says Ding Dong is one of his current favorite deejays because he likes to dance and have fun. “For me as a DJ, as a guy who listens to music on the regular, I try to stick to every genre of music, you know what I mean, but am much more into dancehall music, I love to dance so one of my favorite artist is Ding Dong,” Usain Bolt said. The sprint legend also spoke about some recent news about trying out for German Bundesliga club Borussia Dortmund. The young dancehall deejay pays homage to three great reggae/dancehall icons who are currently incarcerated while also paying his respect to a few other acts who were murdered over the last few months. “I had a close one yesterday, jah put an angel over me, be strong and hold a firm meditation, one day things must get better, don’t you go down keep your head above the water, words from the great Buju Banton,” Vershon sings in the intro for the Dakrome Productions-produced single. “When them talk me do like me no hear no man, nuff blame the system but me blame the devil, cuz’ a him make Worl’Boss deh a jail so long,” Vershons sings in the second verse. At the end of the song, he played some old recording of Buju Banton, Kartel and Ninjaman before their incarceration. Vybz Kartel and Popcaan have not made peace despite some recent reporting. The self-proclaim Worl’Boss celebrated his 42nd birthday on Sunday and a number of his past and current allies took the timeout to wish him a happy birthday on social media. We saw artists like Popcaan, Sean Kingston, Tommy Lee Sparta, Spice, and NotNice post images of Kartel while sending birthday greetings his way. 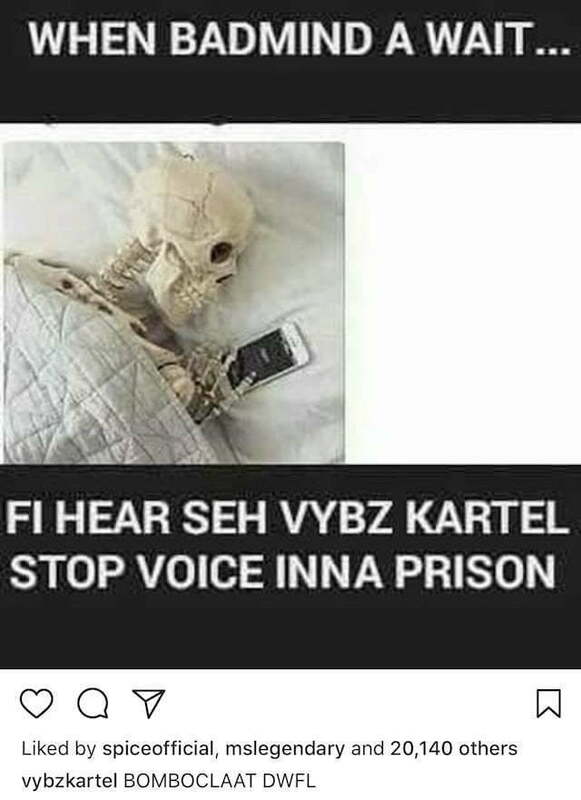 Kartel liked all the posts except for Popcaan and fans took note and criticized him for it. The Unruly Boss shout-out his former mentor twice during separate performances in the Caribbean over the holidays. But it’s his post on Instagram that causing some fans to speak out. 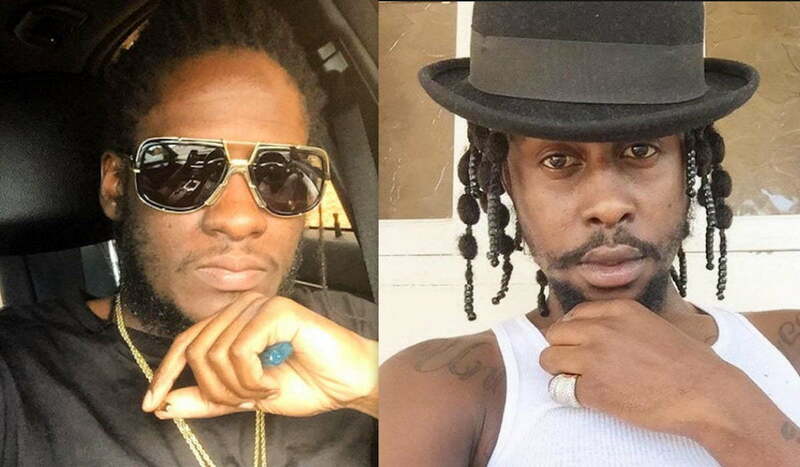 “Popcaan you is a two face snake, you never go visit the boss not once but you trying to get a hype by posting this, leave the boss name out your bad mind mouth,” one fan wrote in the comments. Sources inside the Gaza told Dancehall HipHop that Popcaan has yet to visit Vybz Kartel behind bars since his incarceration in 2011. We’re also told that he has in the past requested a visit but Kartel denied it. This is a clear sign that these two former friends, who had a father and son-like relationship, are not making peace anytime soon. 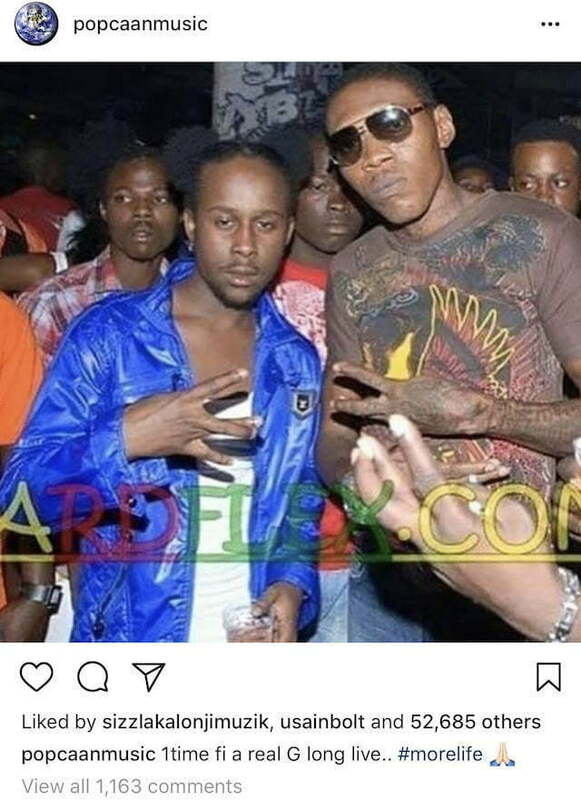 The below images show Vybz Kartel liking posts from everyone while snubbing Popcaan. “The boss like everybody posts except for yours yo no have no shame, come off a the man name and stop post up picture with the boss like you and him a friend,” another fan commented. Vybz Kartel is celebrating his 42nd birthday today (January 7th) in good spirit. The incarcerated dancehall legend received a family visit from his kids who were brought to GP on Sunday afternoon. A rep for his label told us that he is in good spirit as he marks another milestone in his life and career. “The Worl’Boss is in great spirit and despite his incarceration, there are a lot of things to be thankful for,” his rep said. We’re told that this year will mark 25 years since Vybz Kartel been in the music business and despite being incarcerated since 2011, he is showing no signs of slowing down. “25 years in dancehall and still active and more relevant than 99% of the artists is something to be thankful for and something to celebrate,” his rep added. Vybz Kartel started his dancehall career in the early 90s as part of the group Vibes Cartel. The group was later disbanded and he took on the name Vybz Kartel by just changing up the spelling. However, his big success didn’t come until the early 2000s when Bounty Killer took him under his wings and lifted him up from an underground act to the mainstream of dancehall. 1time fi a real G long live.. #morelife ?? Vybz Kartel, whose real name is Adidja Palmer, is serving a life sentence for murder. His appeal trial is set for July of this year. He is eligible for parole after serving 35 years of his sentence. Wyclef Jean is a big fan of Vybz Kartel and here is why he has so much respect for the incarcerated dancehall icon. Clef is currently in Jamaica for the upcoming Shaggy and Friends benefit concert this weekend in Kingston. But before he graced the stage, he had a sit down with Winford Williams on OnStage where he opened up about local talents and the heavy usage of reggae/dancehall in mainstream music currently. Despite the heavy sampling of Jamaican music by international acts, very few local artists are making it to the mainstream like Shaggy and Sean Paul did. The former Fugee frontman spoke at length about Caribbean artists talent and their need to understand the music business fully in order to push their careers to the top. “This is what I want kids to understand, the music business is a 360, when you coming in now create a brand, do not be just an artist no more, become a brand,” he said. Wyclef Jean also spoke about his new album Carnival 3, going on tour next year, and his presidential bid for Haiti. He started out by clearing up some rumors about his foundation Yele Haiti after a New York-based state attorney conducted an investigation over financial irregularities. Clef said that the whole investigation was a smear campaign to take down his presidential bid. The entire interview was well received with the music icon opening up about a lot of topics. You can see him live this weekend at Shaggy and Friends on the lawns of Jamaica House. Tommy Lee Sparta and Alkaline will not be making peace anytime soon. The “Uncle Demon” deejay put on a show for his fans at last weekend’s annual Ghetto Splash in Kingston. His set was well received and he even called out JOP/4th Genna deejay Deablo to join him on stage. 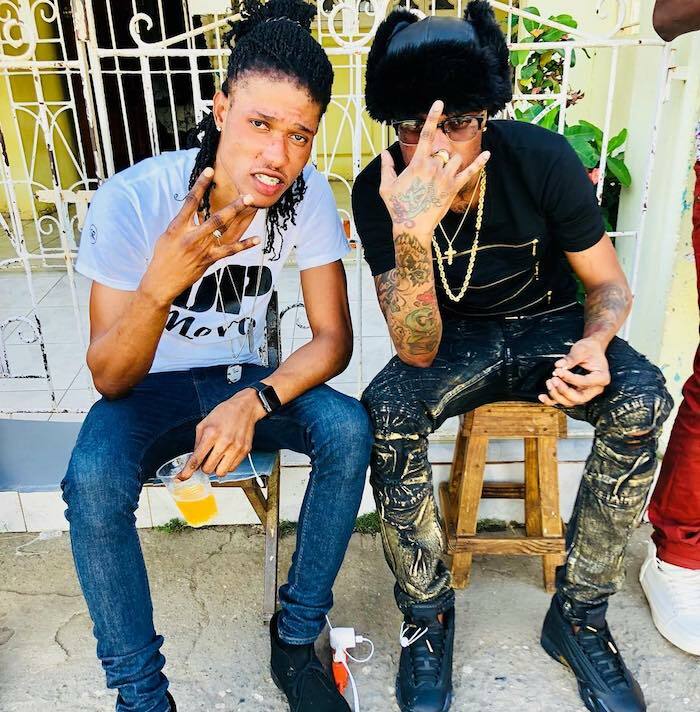 Tommy Lee Sparta used a part of his performance to lay waste to Alkaline while praising his former mentor Vybz Kartel, despite his rocky relationship with the former Portmore Empire boss. Tommy Lee Sparta’s statement comes only a few months after Vybz Kartel once again reminded his fans that Lee and Popcaan are disloyal former members of his Gazanation crew. 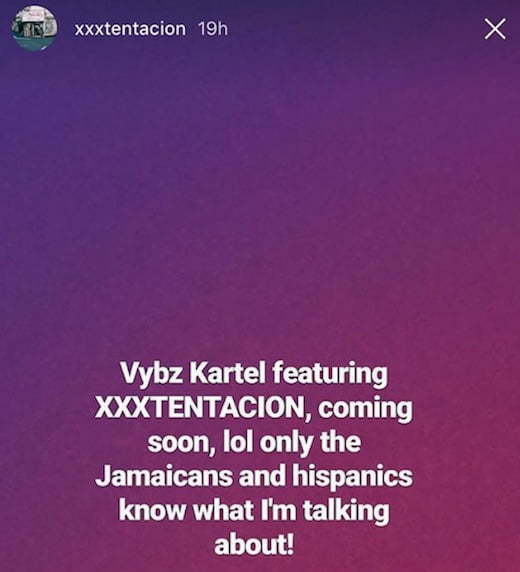 While that statement resonate with fans, that is not stopping Sparta and Popcaan from still shouting-out Kartel every chance they get. Alkaline fans are in a frenzy and even roasting Vybz Kartel and his fans after getting a shout-out from BET. The Vendetta boss celebrated his 24th birthday on Tuesday, December 19, 2017, and a lot of his fans and celebrity peers including some of his close dancehall friends like Mavado, DJ Frass, and more. Perhaps his biggest shout-out came from BET who tweeted out a photo of the dancehall star with a happy birthday message that reads, “Big up to #Alkaline on his earth strong! #HBD. 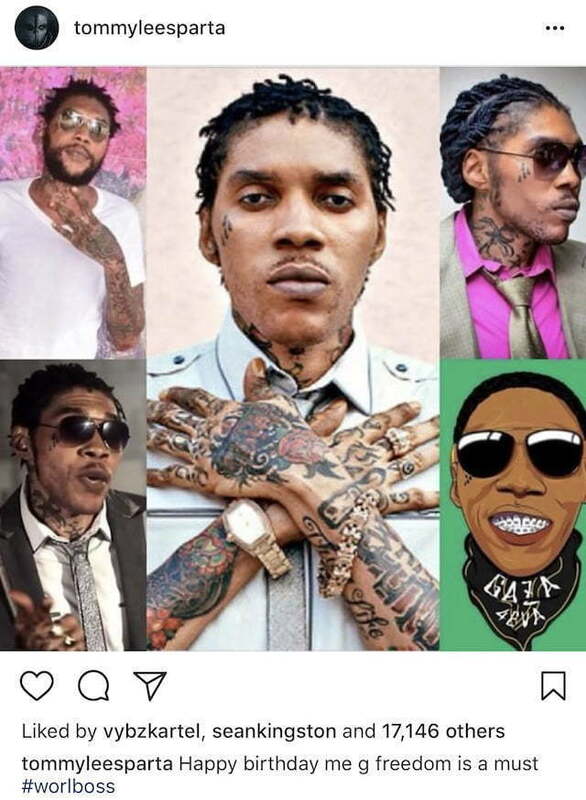 Some of Vybz Kartel’s Gazanation fans didn’t believe that the shout-out was authentic when Vendetta fans started sharing it on social media. Some folks even suggested that it was photoshopped, but it was and we included the original tweet on this post for you. The back and forth between fans of the two dancehall rivals are hilarious. “Lol. I swear Jamaicans people are in denial… when Unu a guh admit a alka a run dancehall now? 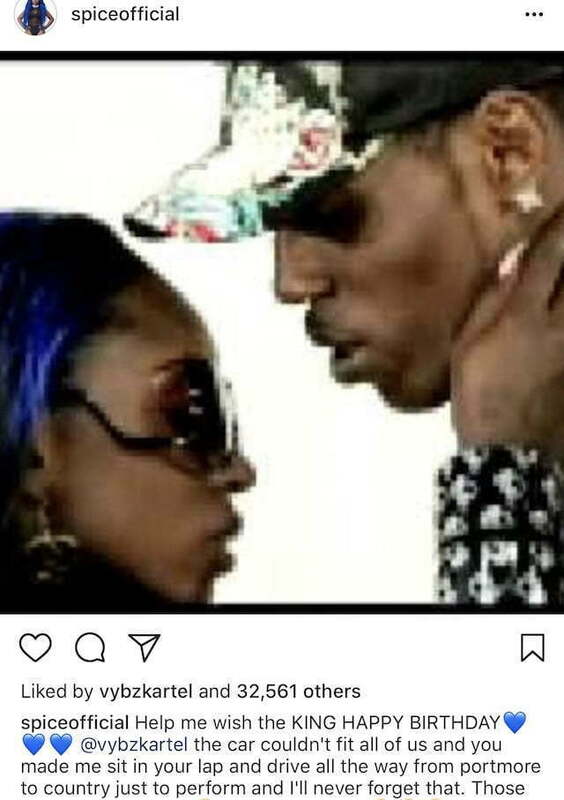 A did kartel once up on a time but not anymore… n the photo is actually real, cos if y’all took the time to go on Twitter (like I did ) you all would’ve seen the photo.. unu too badmind, man. Acting like kartel is suppose to be the only successful Jamaican dancehall artist,” one Vendetta fan clap back. 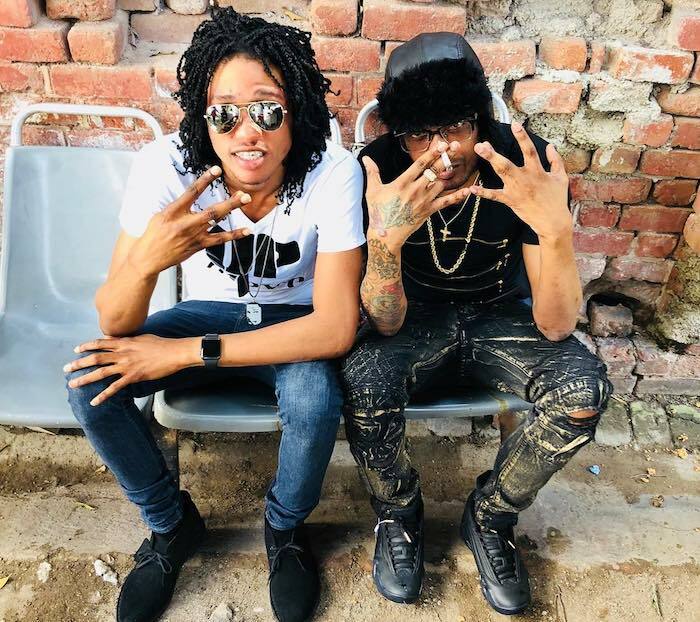 Alkaline and Vybz Kartel are two of the leading artists in dancehall this year with dozens of hits between the two of them that only serves to further fuel their rivalry. Tony Matterhorn is making it clear that he is not a coward. The veteran sound system selector was grossly disrespected by young dancehall gunner Alkaline last week Friday at the Vendetta deejay’s birthday bash at Club Euro in Fort Lauderdale, Florida. Alka got upset when Matterhorn, who was the designated deejay, started playing Vybz Kartel songs at the party. “Yo a pu**y for that wa yo just do,” he told the disc jockey in front of his face on stage. Tony Matterhorn fans have been going off on social media with some calling him a coward for letting the “Champion Boy” deejay disrespected him like that on stage in front his face. But in defense of the disc jockey, Alkaline had his goons right there with him and one of them look like he was ready to pop things off right there and then. Matterhorn has since gone on Instagram live to explain why he never retaliate at the time and fortunately he didn’t because things could have ended badly for both sides. The long and the short of it, Tony Matterhorn is saying he made a conscious decision to de-escalate the situation because if he had retaliated then the headlines would have been much different and fans would’ve looked at him in a bad light for beating up the young dancehall deejay. “Alkaline just make himself look bad, me no look bad, you make yourself look like you have a problem with Vybz Kartel,” Matterhorn added. He also said that he wasn’t the one who played the Vybz Kartel song and named Dutty Dex as the disc jockey behind the stunt. Vybz Kartel offload some shade on producer Stephen ‘Di Genius’ McGregor. The self-proclaim Worl’Boss is upset with Di Genius who previewed one of his songs on social media over the weekend. The preview ignited Gazanation fans who thinks that the two of them made peace, but now we know that is not the case. “Producer bwoy me and you a friend? Weh ya release dem old song de fa? You no have no shame dawg. SMFH,” Kartel wrote on Instagram. While the dancehall deejay didn’t name drop Stephen ‘Di Genius’ McGregor, his fans them immediately recognized who he was making references towards. The dancehall producer has not responded despite being tagged by several fans regarding the post. The title of the song is “Murda Practice” and it features Vybz Kartel’s old flow from before his incarceration in 2011. Kartel and Di Genius had a falling out back in 2009 after the two worked together on a series of hit songs. The two never made peace since then. Dancehall fans have mixed reaction to Ninjaman life sentence. The harsh penalty was handed down in the Home Circuit Court in Kingston on Monday (December 18, 2017) following his murder conviction on November 20th, nearly a month prior. Ninjaman felt like he was given an unfair trial and vow to appeal, but in Jamaica as evident with Vybz Kartel case, appeals could take several years to even get a hearing in Jamaica. During his sentencing hearing, Dancehall Queen Carlene, and dancehall artist Stacious, gave character testimony on behalf of the deejay but that wasn’t enough to sway the judge. Fans have since been weighing in on the sentencing with some calling it harsh while others think it didn’t go far enough. “Jamaica Justice system is really a man murder him babymother & dump r body Inna gutter get 15yrs & it caught on camera.. A man say him saw Ninjaman kill a man Ninja get life imprisonment ..what kind a justice system we have a Jamaica @andrewholnessjm d system wah scrap,” one fan who supports Ninjaman vents. Ninjaman will be serving his life sentence at the same prison where Vybz Kartel is currently housed, GP. 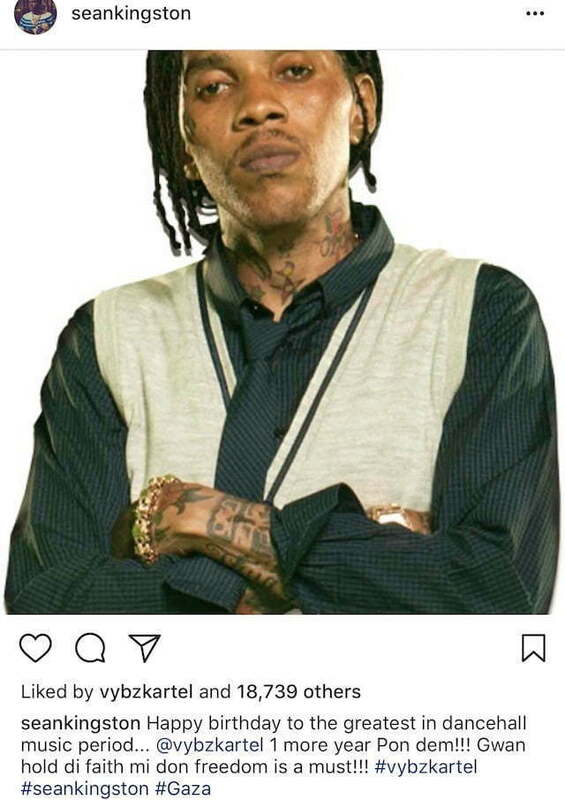 Vybz Kartel is trolling Alkaline on Instagram for dissing Tony Matterhorn last weekend. In case you have been living in a cake for the past few days, Alkaline stepped to Tony Matterhorn on stage last Friday night during his birthday party at Club Euro in Fort Lauderdale, Florida. The veteran sound system selector was the main disc jockey at the birthday bash which saw thousands of Vendetta fans turned out for the event. Matterhorn was playing mostly Alkaline and his allies music all night, but then music start coming from Tommy Lee Sparta, Popcaan, and then a Vybz Kartel song was the straw that broke the camel’s back. Last year, Alkaline received some backlash from some dancehall fans for allegedly copying Vybz Kartel image and style. The Vendetta deejay never responded to those accusations, but Kartel and his fans are not letting up on the claims. “So boring at the top yawn,” Kartel added on IG. Alkaline and his goons almost put paws on Tony Matterhorn for playing Vybz Kartel music. Matterhorn was the designated disc jockey at Alkaline’s birthday bash at Club Euro in Fort Lauderdale, Florida, on Friday night. The venue was jam packed to maximum capacity with Vendetta fans pouring in to see the young dancehall deejay. Sources told us that the veteran sound system selector was playing music from several different dancehall acts including some who has beef with “Suave” deejay like Tommy Lee Sparta and Popcaan. The video clip below gives you a preview of the showdown and you can see one of Alkaline goons standing next to Tony Matterhorn looking like he was ready to brawl with the veteran selector. Thankfully cooler heads prevailed and things didn’t ended badly. Perhaps if this show was in Jamaica then it would likely ended differently. The show was a huge success for Alkaline and his team and now sources inside his circle are telling us that it will likely be an annual event going forward. #alkaline goons was ready to put paws #tonymatterhorn ?